Transports There are 13 products. 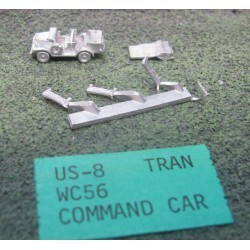 5x WC56 Command Car 1/285 Scale Models Supplied unpainted, assembly required unless stated otherwise. Metal parts, not suitable for children 12 and under. 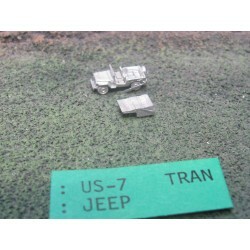 6x Jeep 1/285 Scale Models Supplied unpainted, assembly required unless stated otherwise. Metal parts, not suitable for children 12 and under. 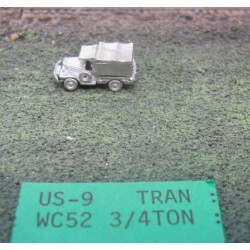 5x WC52 3/4 ton truck 1/285 Scale Models Supplied unpainted, assembly required unless stated otherwise. Metal parts, not suitable for children 12 and under. 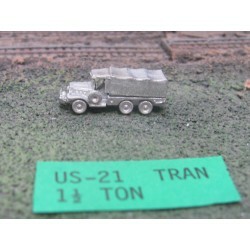 5x 1 1/2 ton truck 1/285 Scale Models Supplied unpainted, assembly required unless stated otherwise. Metal parts, not suitable for children 12 and under. 5x GMC 2 1/2 ton truck 1/285 Scale Models Supplied unpainted, assembly required unless stated otherwise. Metal parts, not suitable for children 12 and under.  1x LCM Landing Craft 1/285 Scale Models Supplied unpainted, assembly required unless stated otherwise. Metal parts, not suitable for children 12 and under. 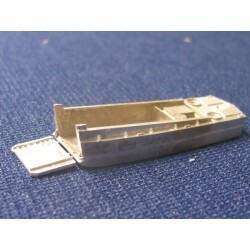 2x LCVP Landing Craft 1/285 Scale Models Supplied unpainted, assembly required unless stated otherwise. Metal parts, not suitable for children 12 and under. 5x DUKW Amphibious Truck 1/285 Scale Models Supplied unpainted, assembly required unless stated otherwise. Metal parts, not suitable for children 12 and under. 1x M26 Tank Transporter 1/285 Scale Models Supplied unpainted, assembly required unless stated otherwise. Metal parts, not suitable for children 12 and under. 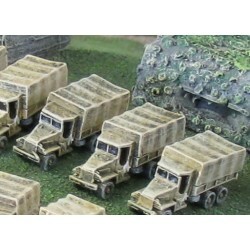 5x Dodge 3/4 ton communication 1/285 Scale Models Supplied unpainted, assembly required unless stated otherwise. Metal parts, not suitable for children 12 and under. 5x Dodge 3/4 ton ambulance 1/285 Scale Models Supplied unpainted, assembly required unless stated otherwise. Metal parts, not suitable for children 12 and under. 5x 3/4 ton M101 trailer 1/285 Scale Models Supplied unpainted, assembly required unless stated otherwise. Metal parts, not suitable for children 12 and under.